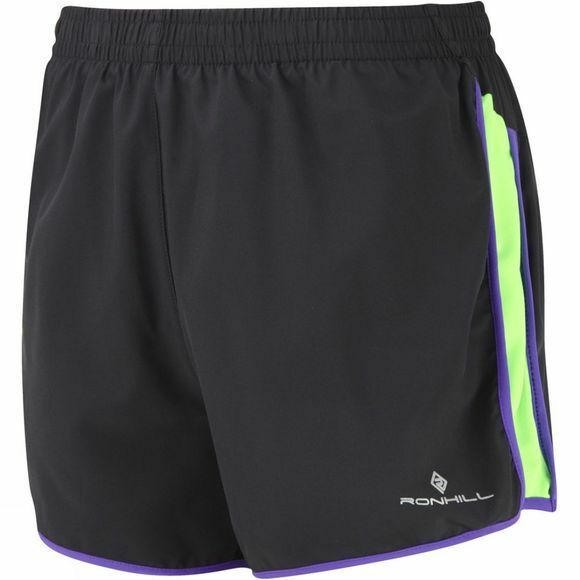 The Women's Aspiration Liberty Shorts from Ron Hill are lightweight and highly breathable shorts that also shed light rain to keep you protected from the elements when keeping fit outside. They have a high wicking bamboo inner brief to keep you comfortable and reduce chafing while the outer is loose and lightweight with reflective graphics and Powerlite side panels for enhanced stretch and movement. There is a zipped security pocket at the rear which is small, the perfect size for a key and phone or MP3 player to keep you entertained.